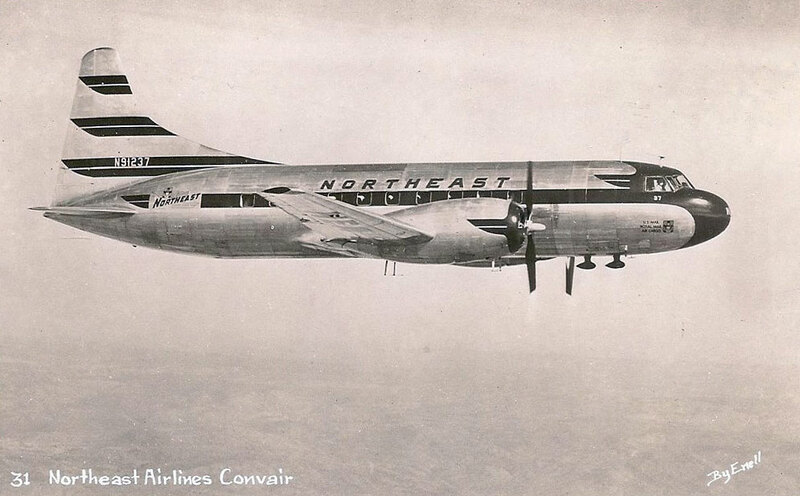 The 2-engine aircraft in the color photo above is a Convair CV-240. 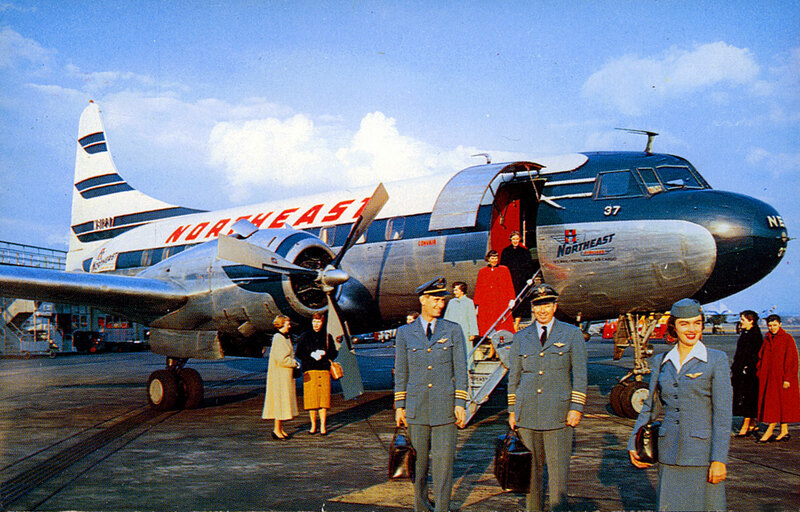 Its design was similar to the Douglas DC-3, the plane that popularized air travel in the United States. 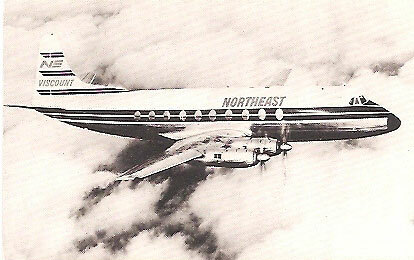 Northeast Airlines also flew the 4-engine Vickers Viscount 798D model aircraft seen below. It seated 53 and flew at a cruising speed of 238mph.